DLT (Digital Linear Tape) uses advanced linear recording technology a highly accurate tape guide system and an adaptive control mechanism to provide high-capacity high-duty cycle backups.? ?High End DLT Tape Drive that provides up to a maximum 36 GB/hour backup rate and protects Departmental High End servers and Professional Workstations up to a maximum of 70 GB with a single data cartridge. Design enhancements like Symmetric Phase Recording (flexible tape head) and Parallel Channel Architecture (4 Read/Write heads transfer data at the same time) have driven DLT technology upwards in capacity and performance capabilities. It utilizes industry standard DLT tape format and has a built-in DLZ hardware compression for improved performance (2:1 compression typical). 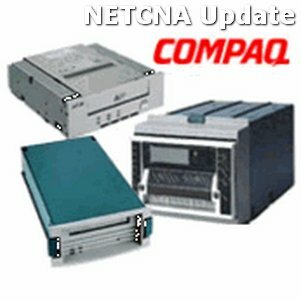 This drive is fully tested on a variety of Compaq ProLiant Server and Professional Workstations. The kit contains a tape drive a tape cartridge a mounting hardware documentation and Live Trial Partner software.